by Samuel Andreyev. 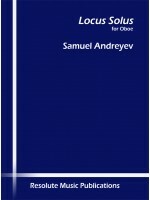 For solo oboe. Approximate duration 5'15".Special order item - normally ships in..